Caption: The strength of the religion and spirituality always gives the affirmative power of life, if it is executed in a holistic manner to the society. The devotion to perform the religious rites, having the faith on sacredness, easily strengthens up the mind and desire to life ignoring the disabilities. 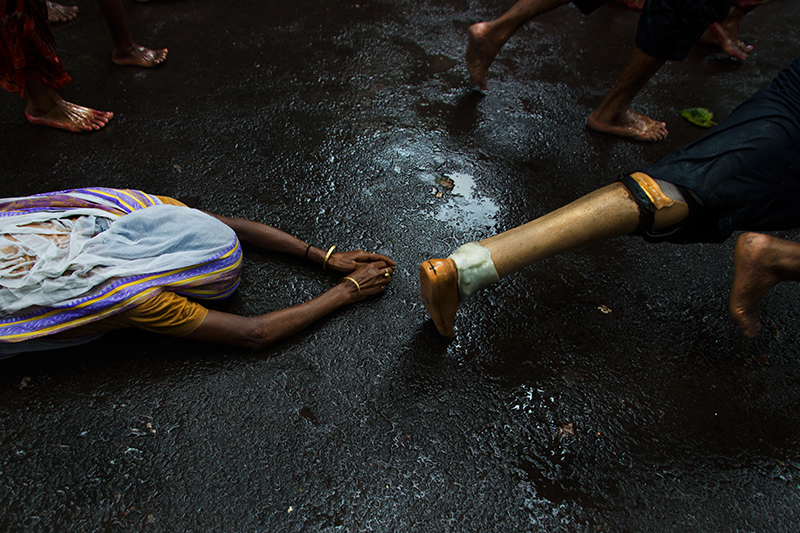 An old women and a person having an artificial limb, both are participating in the religious rites 'dondi' to be blessed with the holiness of the almighty.